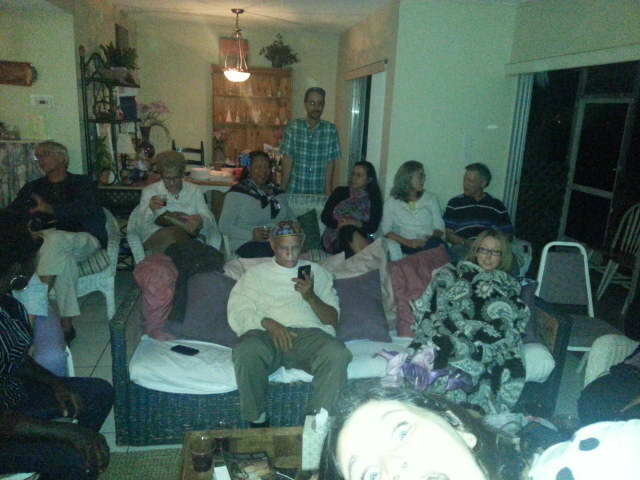 The other day 24 of us gathered at my house to watch Fiddler on the Roof. That was no small feat as I live in a rather small townhouse. But we all found seats and had a great time! The movie is one of my favorites. For my 10th birthday, my parents tried to get tickets for the play on Broadway, but were unsuccessful. When Topol came to Ft Lauderdale for his farewell performance of Tevye, I was there with a group of friends to finally see the live performance of Fiddler. As a child I had the LP and had every song memorized. Of these, my favorite was ‘If I Were a Rich Man’. 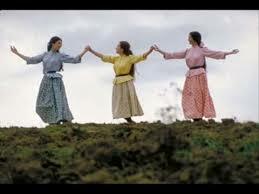 I always thought Fiddler was a story about poverty and finding joy in the toughest of times. And that certainly is part of the story, but the song and theme that struck me this time was the opening number ‘Tradition’. Fiddler is a light-hearted musical with a powerfully sad commentary on changing times. Things may change, but they are not always for the better and very often lead to the downfall of society. Traditions are valuable, and I find it disheartening that many times in the Messianic community I hear the traditions of the fathers looked upon with disdain, much like the character Perchik does in his discussions with the residents of Anatevka. Yet when we listen to Tevye, we find good reason to maintain the traditions. Life for a Jew is shaky simply because they are descendants of Jacob. People have hated them for millennia without cause. That in itself creates a shaky existence. Tradition helps keep them focused, even when they don’t know how the tradition started. As we move into the rest of the story, we see that it is a commentary on changing times and broken tradition. We can see in this story how the enemy gets a foot in the door and things go from bad to worse in no time at all. Tevye has five daughters. The story takes us through how the three oldest broke with tradition. Tevye’s first daughter, Tzeitel, broke the tradition of using a matchmaker. She and Motel the Tailor pledged their love to each other rather than seeking out the matchmaker or asking the father first. But, they did marry within the faith, and though they pledged to each other, they did ask Tevye’s permission to wed AFTER they pledged to do so. Now, it’s not too bad, right? Motel is from the same town, the same synagogue, and he has the same faith and values. The second daughter, Hodel, falls in love with Perchic, a stranger to the town who came from Kiev. As mentioned, he has disdain for tradition and is a rebel rouser, though he is also Jewish. Not exactly the same faith and values, but he is a descendant of Jacob, so their culture is similar. But the two young people decide to marry and they are not asking for Tevye’s permission, only his blessing. They plan to wed no matter what he says. Finally here comes Chava, beloved of her father. She goes to him because she has fallen in love with a Gentile and wants to be married. Tevye considers, but it’s too much to tolerate. He cannot reason it out. What does Chava do? She sneaks away to the Christian church and marries Fyedka. She is then quite surprised when her father turns his back on her. The movie ends with the expulsion of the Jews from the area with only three days’ notice. And this I believe is the point. Their lives as Jews are shaky enough as it is without inviting more turmoil. Satan has not changed his strategy since the days of Balaam. If he can’t destroy them from without, he’ll do what he can to cripple them from within. Throughout the movie the oft repeated phrase was ‘times are changing’. As I look around at our society –with homosexuality the norm, abortion as a form of birth control, and commitment to a lifelong relationship a thing of the past, I must ask – are these changes from tradition a good thing? Time to Stop Talking and Start Doing! Are We Really Peculiar People? What Can We Learn From One Pharaoh, Let Alone Two?